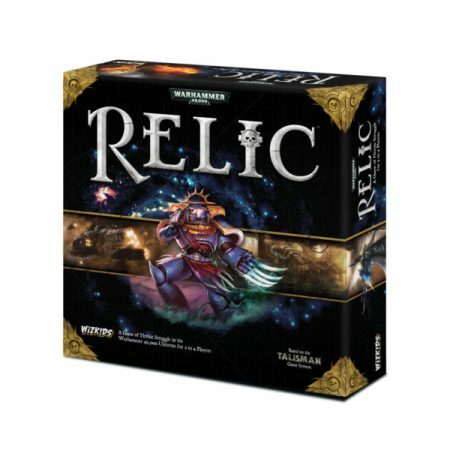 WizKids is releasing Warhammer 40,000: Relic, a game for 2-4 players set in the WH40K universe in June 2019! 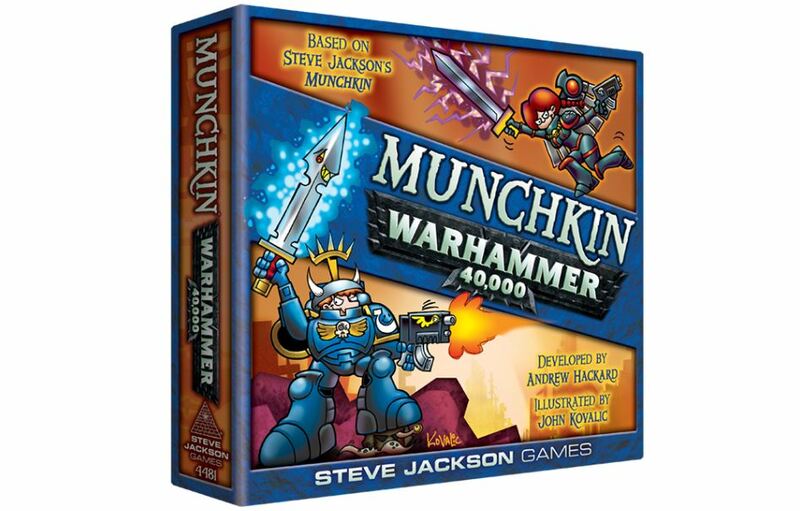 Munchkin Warhammer 40,000 will launch in 2019 in premiere Deluxe format ($29.95), followed by two 112-card expansions ($19.95) later the same year. That’s almost 400 cards of explosive Munchkin Warhammer fun! 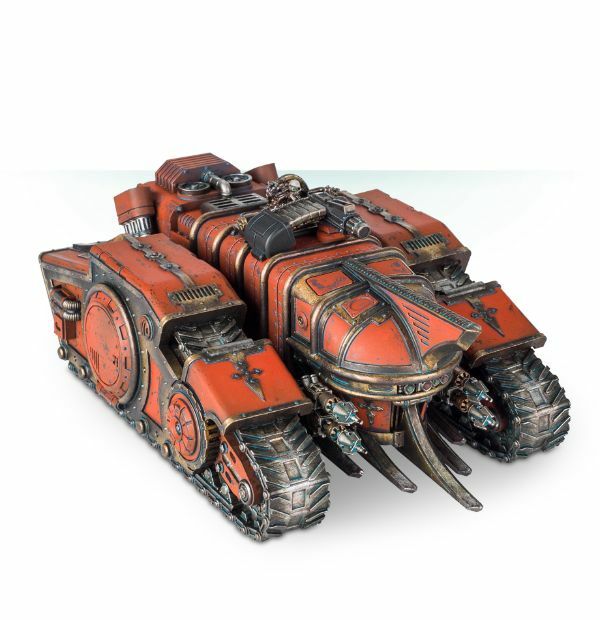 Games Workshop has a new vehicle available for your Horus Heresy army; the Mechanicum Macrocarid Explorator! Preorder now, shipping next week. Uniquely crafted to the needs of the Magos leading the expeditionary force, Macrocarid Explorators first saw use as frontline combat and mobile command vehicles in the early days of the Great Crusade. Heavily armoured and equipped with the Mechanicum’s signature technologies and weapons, they are now pressed into service on both sides of the cataclysmic battles of The Horus Heresy. Macrocarid Explorators can transport Magos’ or their units of deadly automata across the battlefield, cutting through any opponent foolish enough to come close with powerful weapons enhanced by augury scanners. Their heavy armour makes them as durable as the Legiones Astartes Land Raider, with the addition of extensive self-repair systems. The Mechanicum Macrocarid Explorator includes optional weapons for the vehicle’s sponsons and hull mounting points. A pair of lascannon or two irradiation engines may be fitted to its sponson mounts, whilst a mauler bolt-cannon and a graviton imploder are available as hull mounted weapons. 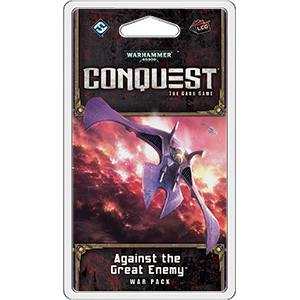 Against the Great Enemy is a new War Pack in the Death World cycle of Warhammer: 40,000 the Card Game from Fantasy Flight Games. Within this expansion, you’ll continue to find support for this cycle’s major themes. Additional Deep Strike cards enter the card pool, giving your units, attachments, and events new ways to arrive at the battlefield unseen by your foes. Elite units continue to become more effective and dangerous, even as a new Eldar warlord and her signature squad invite you to lead the Howling Banshees into the battle for Nectavus VI! Forge World continues to release staggeringly beautiful Character minis for the 28mm Horus Heresy 30K universe. This time it’s Nathaniel Garro, Hand of the Sigillite. The foremost of the Knights-Errant, Nathaniel Garro was once a Battle-Captain of the Legiones Astartes Death Guard. Though he served his Primarch with honour and dedication, he was condemned as unworthy and, along with countless thousands of Legionaries who could not be counted on to tread the path of the Traitor, was betrayed at Isstvan III. Surviving to bring word of the treachery to Terra, Garro renounced his oaths to the Death Guard and pledged his life and loyalty to Malcador the Sigillite, swearing to undertake any mission, no matter how perilous, in the ultimate defence of humanity. Nathaniel Garro, Hand of the Sigillite, is part of the Horus Heresy Character Series. Armed with a paragon bolter and Libertas, his masterfully wrought broadsword, Garro goes to war clad in ornate power armour bearing the symbols of the Sigillite and protected by technologies and artefacts both wondrous and guileful. 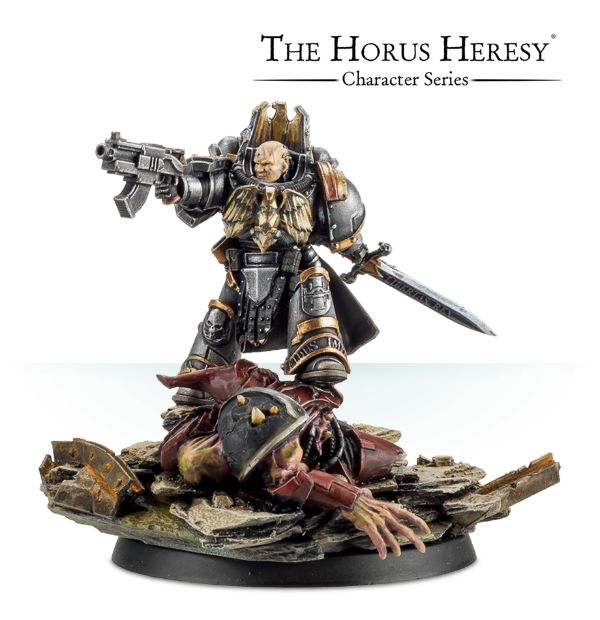 This is a multi-part resin kit and is presented in a stylish Horus Heresy Character Series box. It includes a 32mm gaming base and a 50mm scenic base that depicts the dismembered remains of a Word Bearers Legion Gal Vorbak. Games Workshop has released their massive Archaon Everchosen for Warhammer: Age of Sigmar 28mm fantasy miniatures. Spoken of in fearful whispers by warlords and kings, Archaon is the shadow of Chaos falling upon the Mortal Realms. Greatest of the Dark Gods’ champions, the Exalted Grand Marshal of the Apocalypse, he is the Everchosen – the doom of all. Uniting the armies of Chaos with his fist of iron, wielding the legendary daemon sword the Slayer of Kings and mounted upon the terrifying, three-headed beast Dorghar, he rides out to meet the forces of Order that seek to loosen the grip of Chaos. Archaon – the Three-Eyed King, the World Razor, the Thirsting Predator – will see to it that Sigmar’s heroes fail in their quest, and that the united hosts of Chaos will unmake the Mortal Realms in their terrible, howling glory. 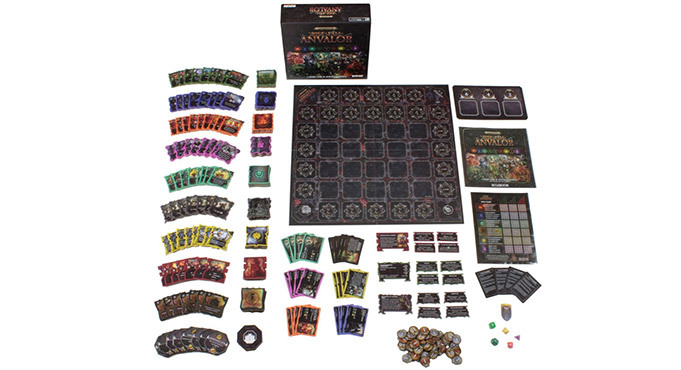 This kit contains all the components necessary to make one absolutely staggering, enormous, intimidating Archaon, the Everchosen. Covered in the gifts of the Dark Gods, he bears the Armour of Morkar, featuring numerous Chaos markings, inscribed with runes of warding and malice. His shield displays the symbols of the Dark Gods, and he clutches the Slayer of Kings. 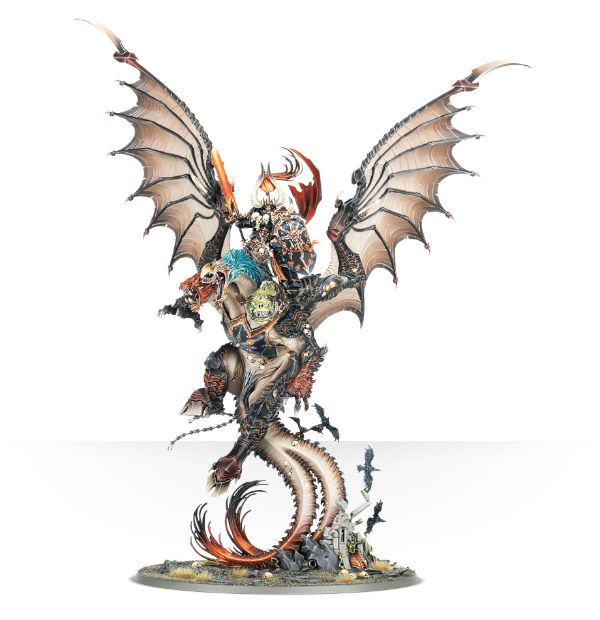 His vast winged mount, Dorghar, has undergone countless horrific mutations as he consumed souls from the carcasses of Archaon’s bested foes – huge wings, the faces of unfortunate Stormcast Eternals whose souls he has consumed embedded within his skin, three daemonic heads and twin tails. 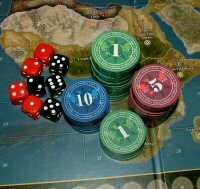 Eighty-five components in total are included, with a gigantic Citadel 160mm Round base. Preorder the new Solar Auxilia Veletaris Storm Section with power axes from Forge World for your most awesome WH30K army. Amazing poses, with just the right amount of detail. Not at all flashy or ornate either which is rare for GW/ForgeWorld! Usually forming part of the Solar Auxilia’s Infantry Tercios, Veletaris Storm Sections also serve as the Household Retinue of commanders and Lord Marshals. When doing so they often bear ceremonial power axes which, whilst finely wrought, are suitably deadly in battle. The elite of the Solar Auxilia, who are themselves the best of the Imperial Army, they are considered second only to the Space Marines of the Legiones Astartes in combat. 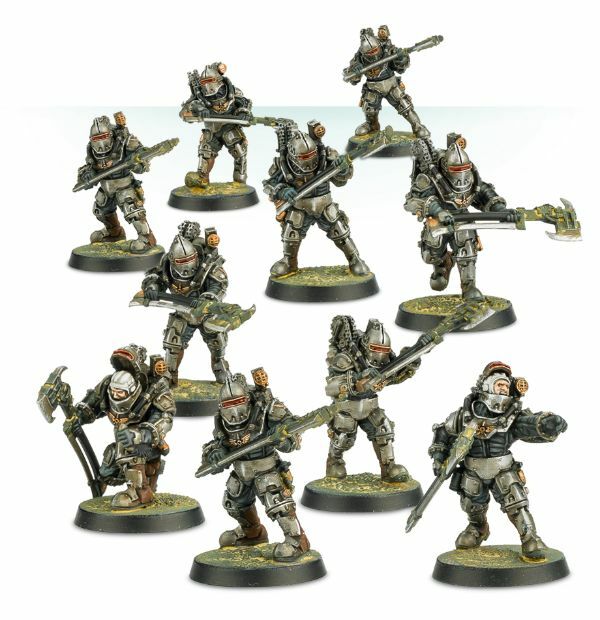 Consisting of 10 models, this set is equipped with power axes and encased in reinforced void armour. A complete multi-part resin kit that makes ten models. It includes ten 25mm round bases.